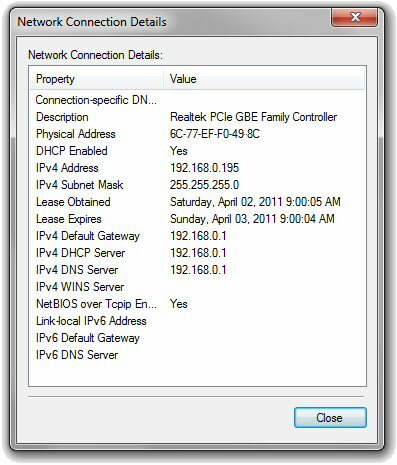 This window shows my IPv4 address as 192.168.0.195 (your window could show a different, but similar address, too). If it’s different from the address displayed on this web page above, it’s probably because you are connecting to the Internet not directly, but via a router. 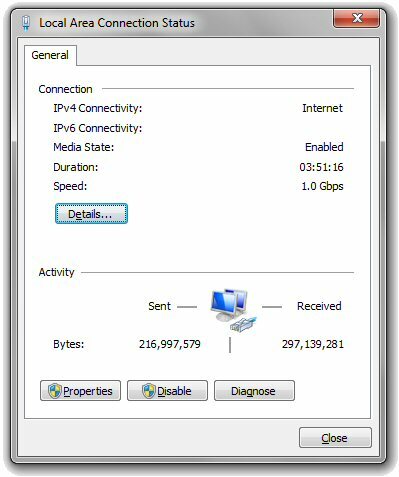 Or, if you are connecting via a proxy, then the IP address of the proxy would be shown above. In any case, that’s how your Internet connection appears to the world!